We've seen the last of Tom Cruise as Jack Reacher. 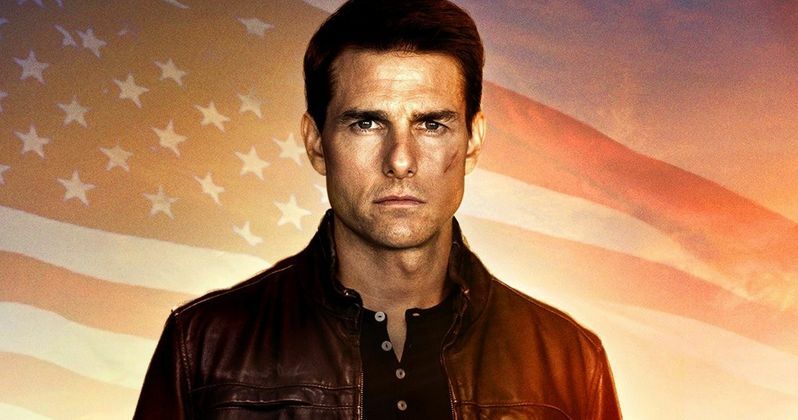 According to author and creator of the character, Lee Child, the franchise is heading for a reboot and will be ditching Cruise in favor of casting a new actor. The plan is to create a small screen version of the popular novel series on a major streaming service as a long-form drama. The reason Tom Cruise was dropped is because he's just too short. While Lee Child didn't come right out and say that Tom Cruise, one of the biggest (at least in terms of box office draw and global recognition) stars on the planet, is 'too short', he certainly indicated that. But he doesn't have anything personal against the actor. It just what's right for the character. The 56-year-old actor is just 5 ft. 7 in. In the novels, Jack Reacher is a hulking figure who stands at 6 ft. 5 in. and has hands as large as "dinner plates." In a recent interview, Childs confirmed that there will be no more movies with Cruise, while also expressing some of the actor's physical shortcomings. "I really enjoyed working with Cruise. He's a really, really nice guy. We had a lot of fun. But ultimately the readers are right. The size of Reacher is really, really important and it's a big component of who he is. The idea is that when Reacher walks into a room, you're all a little nervous just for that first minute. And Cruise, for all his talent, didn't have that physicality." When it was announced that Tom Cruise had been cast to play the part, there was a great deal of criticism from readers. Despite that, the first Jack Reacher movie, released in 2012 and directed by Christopher McQuarrie, was met with reasonably positive reviews from critics, on its way to $218 million at the global box office. That paved the way for 2016's sequel, Jack Reacher: Never Go Back, which critics weren't nearly as kind to, leading to an even smaller take at the box office, with just $162 million. With that, it looks like the franchise is being turned into a Jack Reacher TV Show if all goes according to plan. Instead of resetting the movie franchise, Lee Child says they are looking to bring the franchise to a streaming service such as Netflix to tell a long-form story. And he's prepared to hear the audience out when it comes to who is cast in the lead this time around. "So what I've decided to do is, there won't be any more movies with Tom Cruise. Instead we're going to take it to Netflix or something like that. Long form streaming television, with a completely new actor. And I want all those readers who were upset about Tom Cruise to help me out, participate in choosing the right actor for the TV series. We're rebooting and starting over and we're going to try and find the perfect guy." Amazon recently found success with their Jack Ryan TV series. Perhaps Jack Reacher can find similar success with such a reboot. And there are plenty of much taller actors who would surely be happy to take the job. It's also possible that the franchise could be turned into a series of streaming movies. This news was first reported by the BBC.